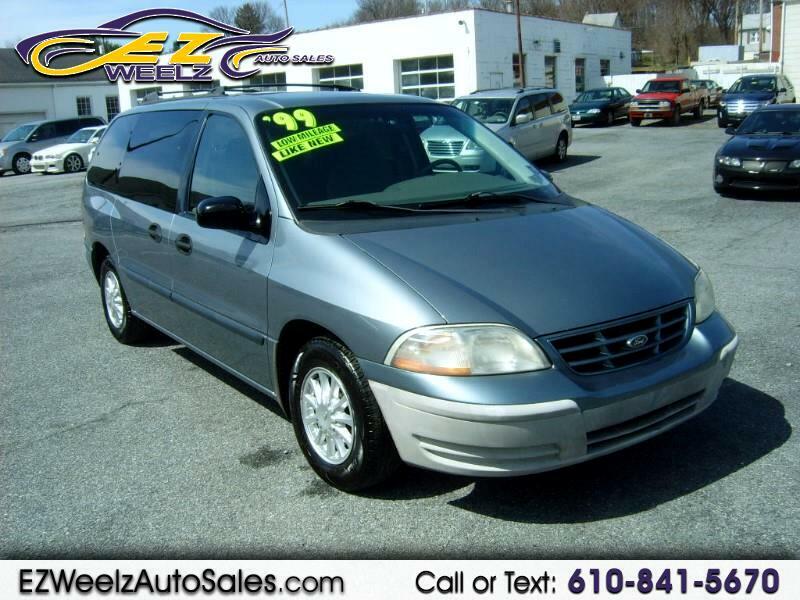 Visit E-Z Weelz Auto Sales LLC online at ezweelzautosales.com to see more pictures of this vehicle or call us at 610-841-5670 today to schedule your test drive. We include a 90 Day/4500 Mile Veterans Essential Power Train warranty on all qualified vehicles. Extended warranties are also available. Guaranteed Financing and Buy Here Pay Here available. Message: Thought you might be interested in this 1999 Ford Windstar. E-Z Wheelz auto Sales, LLC. tries our best to accurately describe the equipment and options included when posting each vehicle listing. It is the customer's responsibility to confirm the accuracy of all the equipment on the vehicle. E-Z Weelz Auto Sales, LLC is not responsible for any inaccurately posted equipment as many vehicle decoded VIN may show options that vehicles may or may not have. Our vehicles come with a 3 month/3000 mile power train warranty where applicable. Any vehicles sold AS-IS will be at the risk of the purchaser and E-Z Weelz Auto Sales, LLC will bear no cost or responsibility. Any vehicle sold AS-IS will be considered "not road worthy" and unable to pass Pa. State Inspection and Emissions and are to be "towed" off the premises. Any vehicle purchased through our in house finance program will be paid in equal bi-weekly payments of $150.00 until paid in full. Anyone using this program agrees not to change address without notifying the Dealership first and furthermore agrees not to move beyond a 50 mile radius of the Dealership. The purchaser also is responsible for the cost of any repairs not covered under the included vehicle warranty. The recommended "down monies" needed to purchase any vehicle through the "house" finance program listed on the website does not include Pa. Sales tax, registration and titling fees.